Home News New In Store: Official Brian May Guitar Shirt! New In Store: Official Brian May Guitar Shirt! This brand new 100% cotton garment highlights Brian's consummate artistic talents and salutes the entire range of Brian May Guitars with a bright, bold design prominently featuring the BMG Special's myriad Limited Edition colour finishes (because it doesn't have to be red to be special!) as well as the company's Mini May travel guitar, the BMG Bass, Rhapsody electro-acoustic and tenor Ukelele models. 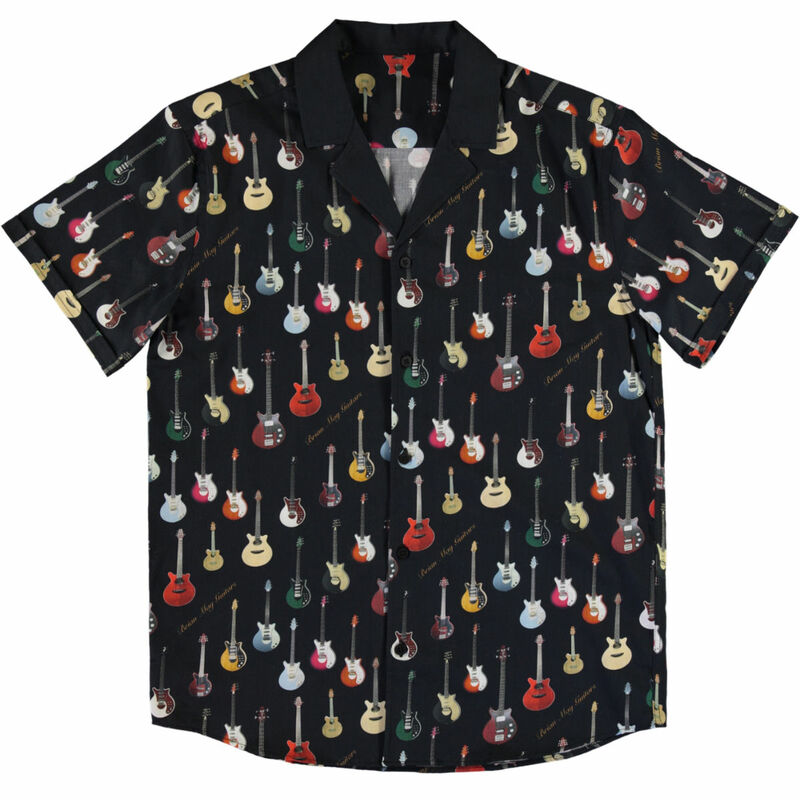 18th July 2018 New In Store: Official Brian May Guitar Shirt!